Ruthven was the first place we saw a "Tufted Titmouse", and it's always a thrill to see them. The Ruthven Bird Banding Station closes officially for the Fall season this Saturday, and because I'll be on plane to Florida when that happens, Rob and I drove over last Sunday for a one last visit this year. As per normal, the banding station was humming with activity, and unbeknownst to Rick, the chief bander, I climbed a hurdle while there. I haven't been able to handle a bird since my Mom passed in January. The many trips we made over to the station this Spring and Summer, I wouldn't even release a bird, let alone band it. The two have nothing to do with each other, but somehow I got the two associated in my head and I couldn't do it. There were many Pine Siskins moving through Ruthven on Saturday, and while we were in the banding station, I was commenting on how small there were, and next thing I know, Rick is putting one in my hand to release. I didn't even have time to refuse. As I was walking out the door, holding the pretty little bird for release, I looked down at the fragile little thing looking up at me and had one of those "Ah Ha! "moments, yes, I can still do this. I have no pictures of the moment, as it happened so fast, and Rob didn't even have his camera out yet, but it's one of those moments I won't need a picture to remember anyway. 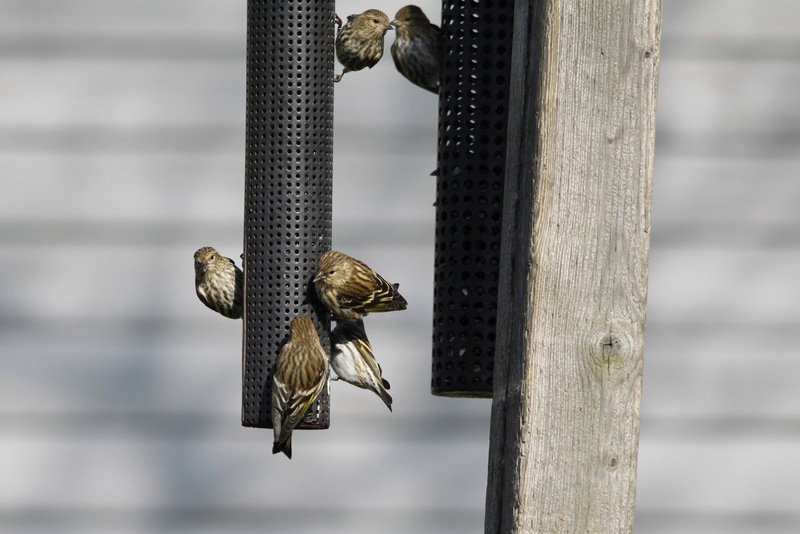 We spent a great morning at Ruthven walking the grounds and enjoying the variety of visitors to the banding station. We always have a good visit when we're there, even when the birding isn't great, but the birding was pretty sweet on Sunday! 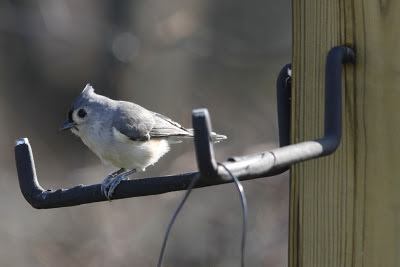 Ruthven was the first place we saw a Tufted Titmouse, and Sunday we saw four! 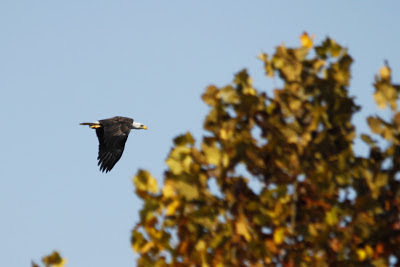 We also had a great low fly over of an adult Bald Eagle. The lower field was full of Golden Crown Kinglets and Yellow-rumped Warblers, always exciting to see birds I associate with Spring migration in the Fall. An adult Bald Eagle checked out the Ruthven grounds. Pine Siskins, many at the feeders and in the Ruthven nets for banding. 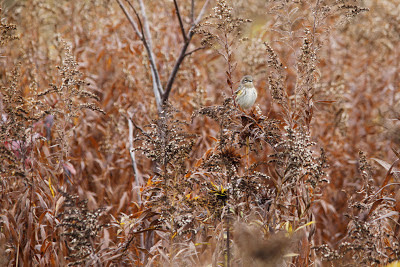 A Yellow-rumped Warbler enjoying a sunny Fall day. It was a lovely way to spend a Sunday morning and now has me wishing Spring wasn't so far away.